I’ve been enjoying using a face wash in the shower in the mornings. What a strange sentence. I never thought I’d write that. To qualify, I’ve always hated getting my face wet, to the extent that I keep a towel hanging over the shower door when I wash my hair so that I never have to bear the feeling of my face getting wet for more than a couple of seconds. Yes, I dry my face while in the shower. So yes, I’ve always used a no water cleanser for actually cleansing in the evenings (and St Ives on hair-wash days, when the towel is to hand). Long story short, when my skin started to get a little oily recently, I was offered a sample of a face wash in Lush, to use in the mornings. So off I bumbled with my Aqua Marina, and started to get my face wet in the mornings. And the wet bit is not that bad… Except that I think that Aqua Marina smells like tuna, and that’s not really what you want to experience in the morning! 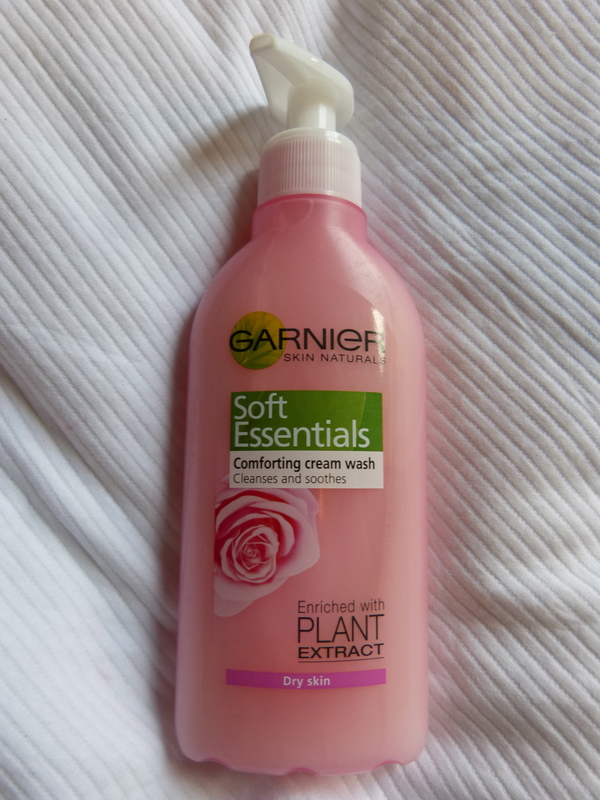 I thought this Garnier Soft Essentials Cream Wash looked nice, and it was all of £3.50, so I grabbed it. Disappointingly, it doesn’t smell like rose, like it implies, but it’s nice enough, and doesn’t leave my skin feeling tight. Next up, a couple of make up buys. I thought I’d try Rimmel Stay Matte Transparent Powder (£3.99) to see if it was as good as all the hype says, and so far, so good. I also picked up a Bourjois Little Round Pot Blush in Cendre de Rose Brune (Rose Cinders) as part of a 3 for 2 on Bourjois. 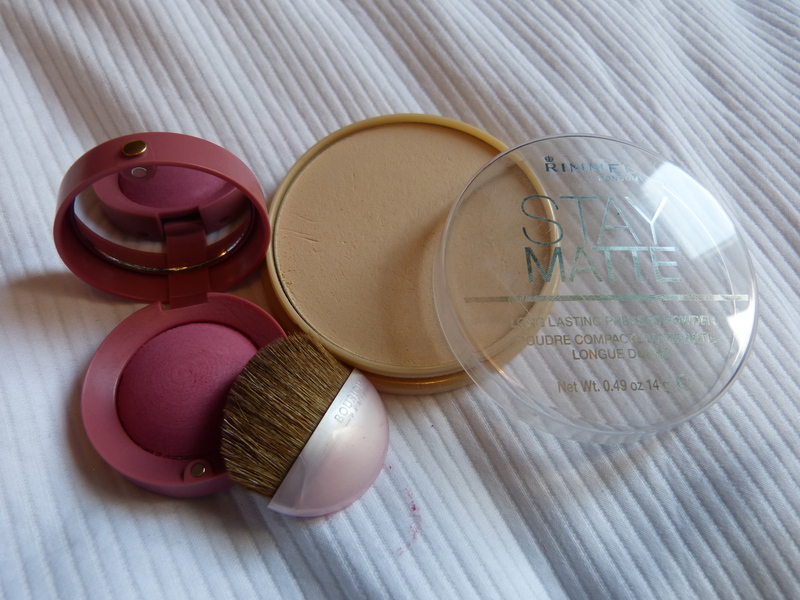 I really like the other colour of this blush that I own, I like the packaging, and the tiny brush, and I had been lusting after this colour for a little while – not bad for a free product! 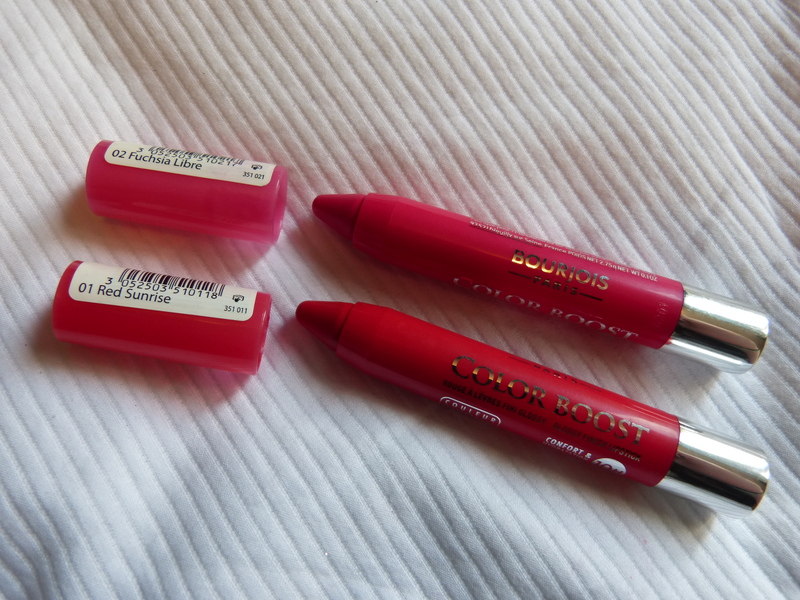 The main things I wanted to get in the 3 for 2 were these Bourjois Colour Boost Lipsticks, which seem like a cross between the Revlon Just Bitten Kissable Balm Stains (my favourites) and the Revlon Lip Butters. These are slightly softer than the Balm Stains, and slightly harder than the Lip Butters, which is great, and they seem to have good pigmentation. 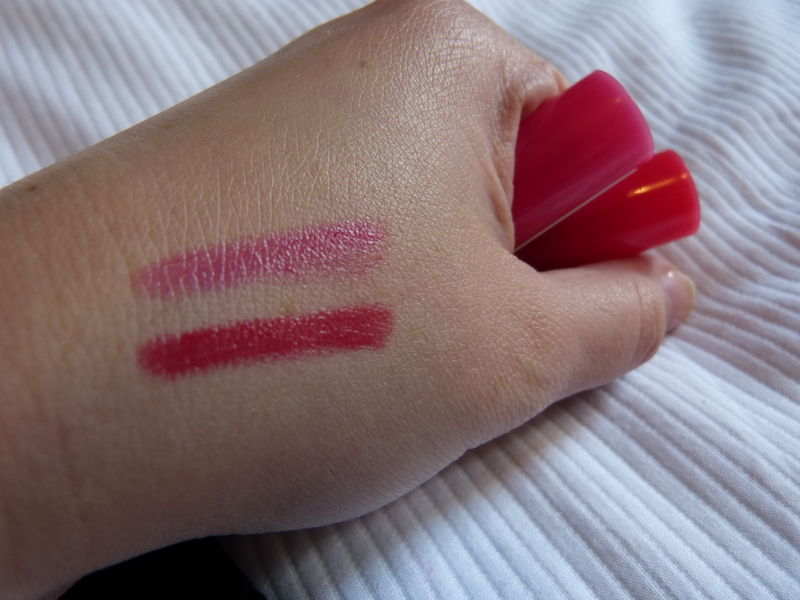 I picked up 01 Red Sunrise and 02 Fuchsia Libre, and I’m liking them so far – I’ll review them properly in a bit, when I’ve taken them for a proper test drive, so watch this space! These were £7.99 each. To put a second cherry on the 3 for 2 cake, Bourjois was offering a free pair of sunglasses when you bought any three products. 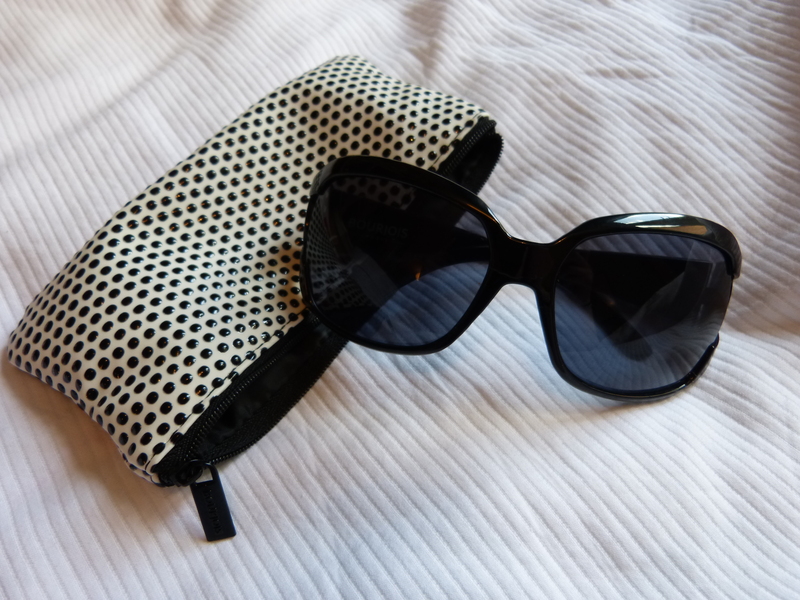 I’ve been looking for a new pair of sunglasses for a little while (or indeed, my old sunglasses – where are youuu?) and liked these as much as any I’d seen, so I’m immensely happy with this offer! All in all, a nice little beauty haul! What do you think of any of these? Will you be taking advantage of the Bourjois offer? This entry was posted in Beauty and tagged beauty haul, beauty products, blush, bourjois, bourjois little round pot, cleanser, face wash, garnier, haul, make up, rimmel, shopping, skincare, sunglasses, transparent powder. Bookmark the permalink. Hope you manage to catch up on sleep! Haha, I’m getting there – I look less like a zombie already! It’s really sad to think that this might be my last summer break – my boyfriend is a teacher, so he’ll still get six weeks off, and I’m a bit jealous!